Bryan Station (also Bryan’s Station, and often misspelled Bryant’s Station) was an early fortified settlement in Lexington, Kentucky. It was located on present-day Bryan Station Road, about three miles (5 km) north of New Circle Road, on the southern bank of Elkhorn Creek near Briar Hill Road. The settlement was established circa 1775-76 by brothers Morgan, James, William and Joseph Bryan from North Carolina. The occupants of this parallelogram of some forty log cabins withstood several American Indian attacks. The most important occurred in August 1782 during the American Revolutionary War, when they were besieged by about 300 Shawnee Indians and British Canadians under Captain William Caldwell and Simon Girty. Bryan Station was located far from a spring that the camp used for drinking water. 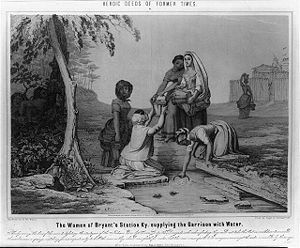 Since the fort was surrounded by Indians, the men sent out the women to retrieve water and other resources. The Indians would not attack the women and that is why they were sent out to retrieve the water. 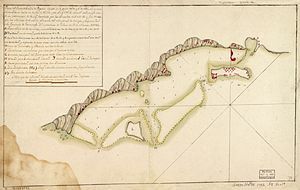 At the time of the siege the militia did not realize just how many Indians were waiting for them outside of the fort or that these Indians had some support from the British. This attack was a surprise attack and the militia in the fort were unprepared for this attack. The attackers lifted the siege after Indian scouts reported that a force of Kentucky militia was on the way. The militiamen pursued Caldwell’s force but were defeated three days later at the Battle of Blue Licks, about 60 miles (100 km) northeast. 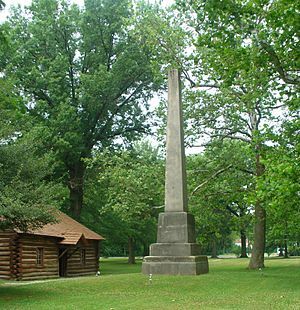 The Lexington chapter of the Daughters of the American Revolution erected a monument in August 1896 to commemorate the importance of a nearby spring in helping preserve the fort from the attack by Indians and Canadians. The pioneer women, led by Mary “Polly” Hawkins Craig (wife of “Traveling Church” patriarch Toliver Craig, Sr.), fetched water from the spring to defend against the use of burning arrows by the attackers. If the fort had burned, the attackers could have reached the women and children sheltering there. Located a couple of miles south of the fort’s site, Bryan Station High School was named in its honor. The athletic teams compete under the name “Defenders”.